Mirror Mirror is a spectacular reimagining of the classic fairy tale starring Oscar® winner Julia Roberts as the Queen, Lily Collins (The Blind Side) as Snow White, Armie Hammer (The Social Network) as Prince Alcott, Sean Bean (“The Game of Thrones”, The Lord of the Rings: The Return of the King) as the King and Nathan Lane (The Lion King, The Birdcage) as the Queen's hapless and bungling servant, Brighton. An evil queen steals control of a kingdom and an exiled princess enlists the help of seven resourceful rebels to win back her birthright in a spirited adventure comedy filled with jealousy, romance and betrayal that will capture the imagination of audiences the world over. 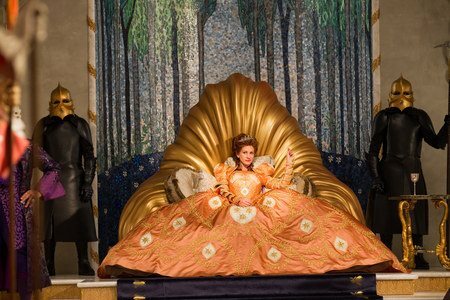 Download Mirror Mirror in Digital HD from the iTunes store. Mirror Mirror images are © Relativity Media. All Rights Reserved. In 1937, the genius that was Walt Disney, released what was to become an all-time classic, the first full-length, animated feature film, Snow White. No doubt this was a movie that has stood the test of time and is as much loved by children and adults alike today as much as it was in those pre-war years. 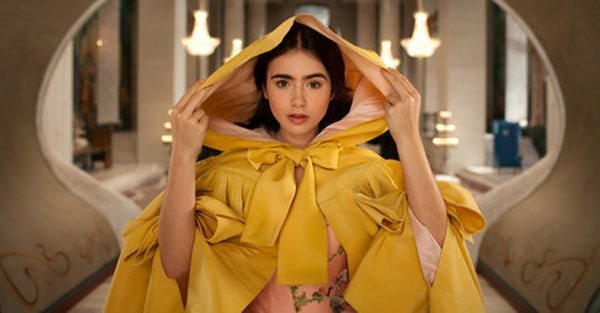 Fast forward to the present day, and 2012 will see two adaptations of that very same story that enthralled audiences of yester year, the first being Mirror Mirror. 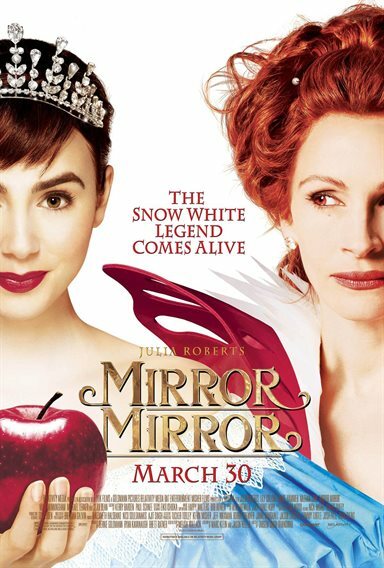 Starring Oscar winner, Julia Roberts, as the Queen and the charming, Lily Collins, as Snow White, Mirror Mirror tells the tale of Snow White through the somewhat disillusioned eyes of the Queen. An animated opening sequence that brings the audience to the start of the movie is one you may feel Disney himself would approve of. While the young princess has been under house arrest since the strange disappearance of her Father, her evil Stepmother has been plundering the royal coffers; and the Kingdom is officially bankrupt. 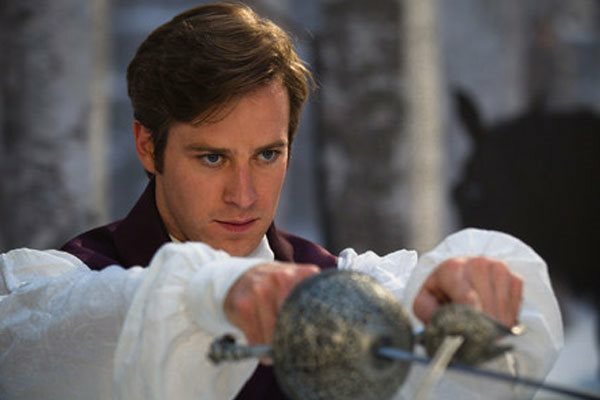 Then on one of Snow White's first outings into the outside world, she rescues a young, handsome, and very rich Prince (Armie Hammer) from a band of "giant" dwarves, and takes him home to her Stepmother – that is when the fun begins. Guardian and Stepdaughter then start to play out the parts of two jealous schoolgirls fighting over the same boy in the school yard, trading blows until the one with more authority comes out on top – it is fun to watch. But that is the point of this movie, fun! And it is! With some great visual gags blended in with some humorous lines which are at times, you cannot help but laugh. At times, it felt like being at pantomime; it just has that silliness about it especially when you see some of the costumes. 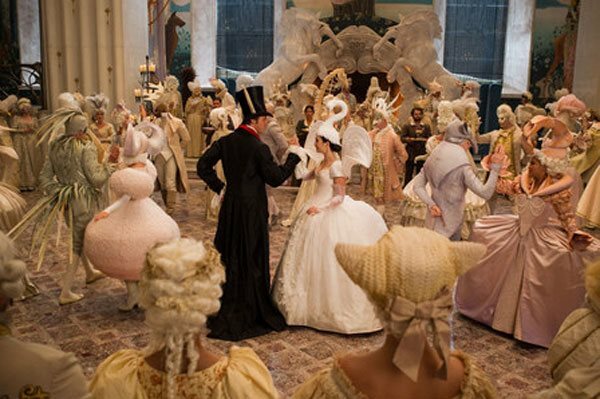 Director, Tarsem Singh, has adapted a well-known tale, twisted it to be viewed from a different angle, and spiced it up with humor, and has succeeded in doing so -- especially so with the dwarves. Also, a special mention has to go out to Nathan Lane who plays Julie Roberts' long, suffering valet, Brighton; I liked his performance a lot. Everyone knows the story of Snow White, and the spine of that story runs through Mirror Mirror; you always have that inkling of what is going to happen next. Sometimes you will be right -- other times not so, which is not a bad thing. All in all Mirror Mirror is a real feel good movie for all the family and definitely worth the admission fee. Mirror Mirror images © Relativity Media. All Rights Reserved.